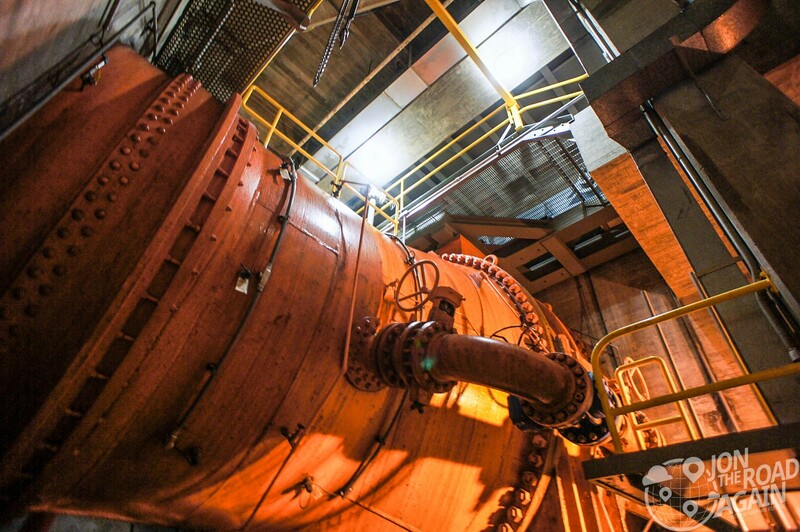 Have you ever wondered how Seattle gets it’s power? 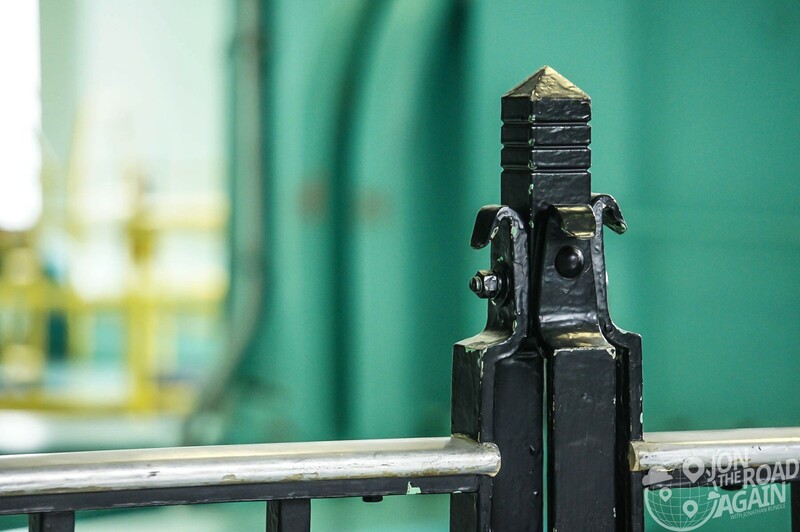 Seattle City Light – the “Nation’s Greenest Utility” – lets regular Joes like you and me walk around their crown jewel hydroelectric powerhouses to see just how energy from a raging river is turned into juice for your iPhone. The day begins in the company town of Newhalem, WA. Here, you’re given an orientation to the area in relation to Seattle City Light (SCL), but also an intro to the diversity of the area – you are, after all in a national park. The North Cascades Institute gives the tour along with SCL in an effort to get visitors to understand the two sides of the coin. Gorge powerhouse was built from 1921-1924 for $13 million. 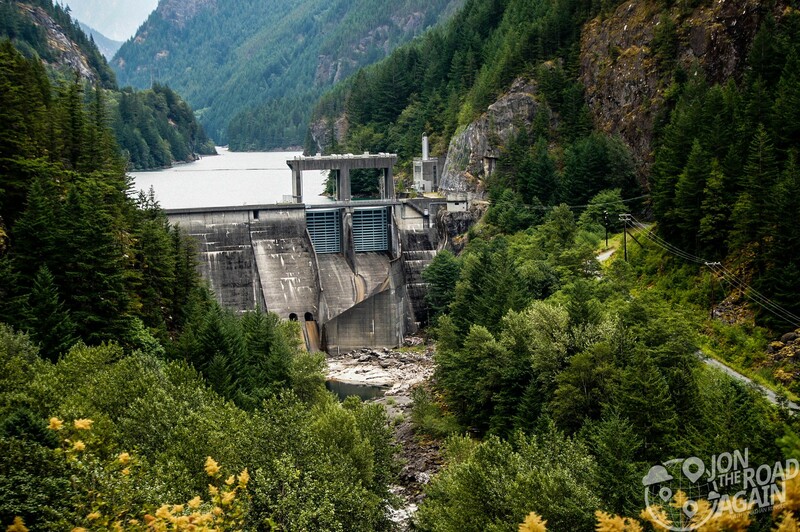 It was the first part of the Skagit Hydroelectric Project which also includes Diablo Dam (1927-1930) and Ross Dam (1937-1940, 1953). For those keeping score at home, Gorge puts out 199.2 MW, Diablo 159.3 and Ross pumps out 352.6 MW. 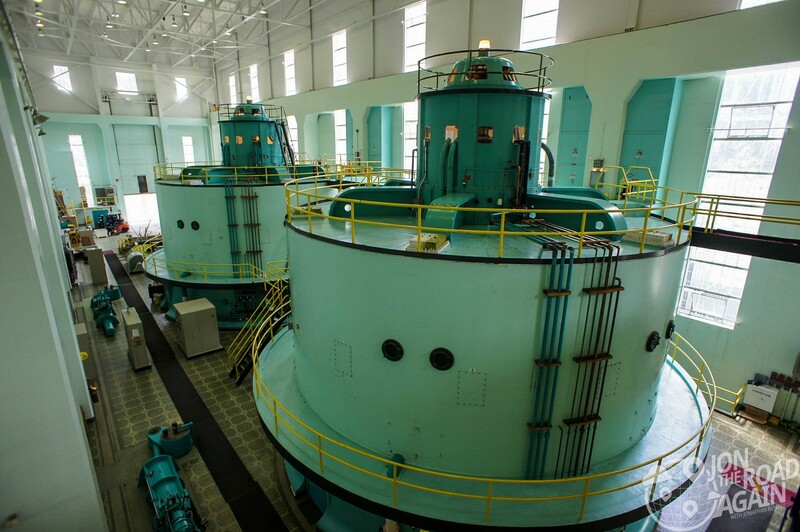 Hydro power accounts for 89% Seattle’s power mix. Behind the Gorge Powerhouse is an interesting hiking trail. Ladder Creek Falls Trail was built by the mastermind of the Skagit Hydroelectric Project, J.D. Ross. You’ll hear a lot about him on the tour. Anyway, he was quite the showman. 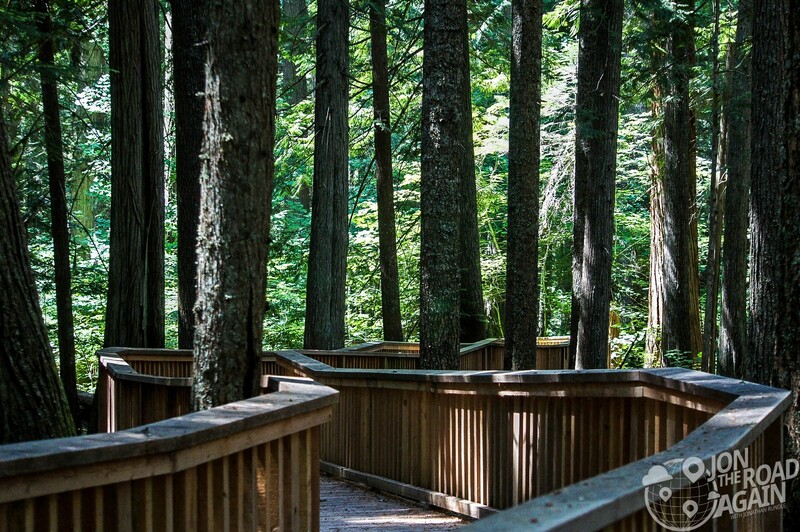 Because he had to drum up support (and funds) for the expansive (and expensive) 3-dam project, the powerhouses have lots of flashy features and this hiking trail was no exception. After dusk, embark to the falls for a daily, repeating 15-minute light show. Once inside, you’ll enter the control room. Full disclosure, my dad worked in a coal-fired power plant in West Virginia and I remember being amazed at the sheer size of the operation whenever I visited the plant. I was very surprised to find only one guy operating the whole plant. As you can tell from the photos, this place is immaculately clean. Another difference from the coal plants of my memory was that everyone and everything was dirty from the coal dust. I can remember my dad’s coverall’s sitting in a pile beside the washing machine in the garage because he couldn’t come into the house with them on. It looked to me like whoever works at this plant could go into perform surgery – no scrubbing required. These massive red tubes funnel the river water to the turbines. On this day I am thankful for skilled riveters. Up the road a bit is this site, the Gorge Dam. From here, the river is (mostly) diverted into a tunnel that is inside the mountain to the right and finally into those red tubes from the previous photo for power generation. 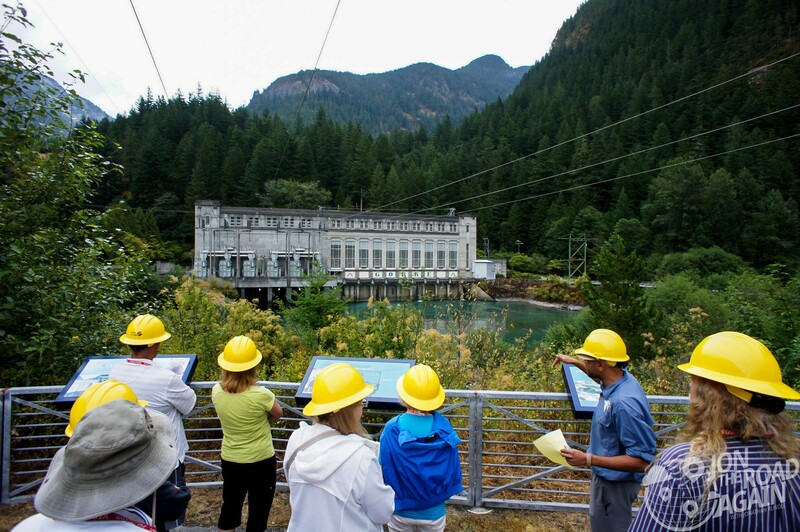 Like Newhalem, Diablo is another company town and home to the Diablo dam and powerhouse. 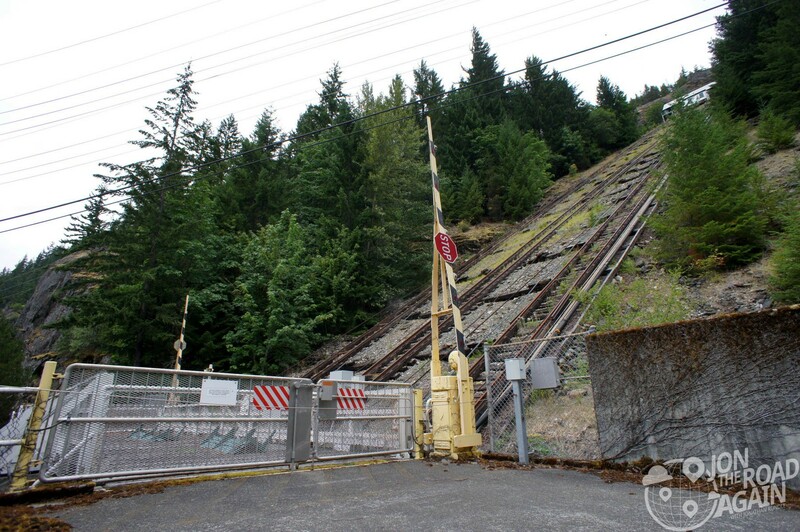 Diablo is known for an incline that was heavily used during construction of the Diablo Dam. The Skagit incline carried loaded railroad freight cars up the side of Sourdough Mountain broadside, with its own rails 600 feet long climbing 338 feet vertically, ascending a 34.2-degree gradient (not too different from the length/gradient of Pittsburgh’s Monogahela Incline). However, unlike the Monongahela Incline, this one is closed. The old incline waiting area served as our lunch stop – delicious sandwiches, chips cookies from the Skagit General Store deli in Newhalem came with the price of admission. Next we made our way to the Diablo Powerhouse, which is home to two turbines. 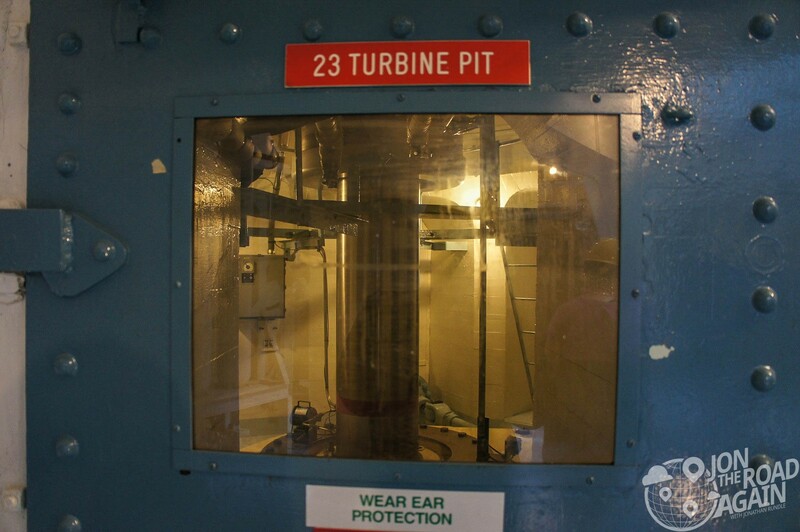 As a result its power output is less than Gorge which is home to four turbines. Diablo powerhouse and dam was J.D. Ross’ showplace. 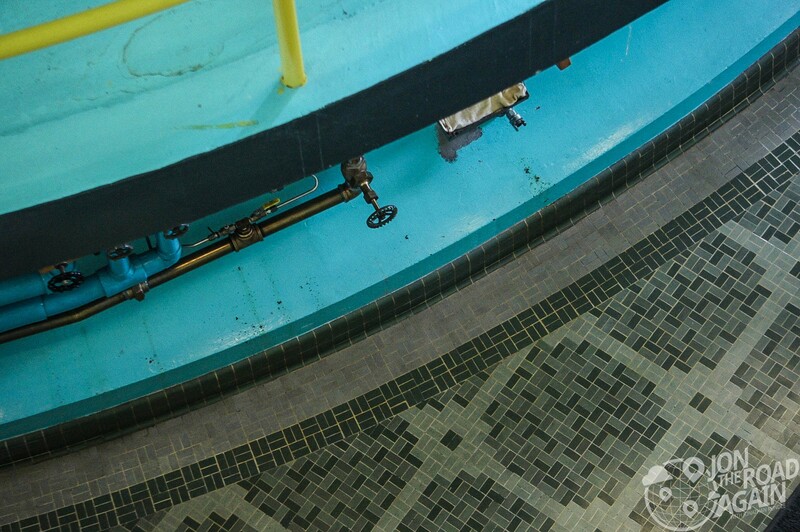 The entryway has a tiled fountain featuring the “Seattle Department of Lighting” logo and lovely tile floors under the turbines. Clearly, this place was built to impress. Art deco flourishes are on the exterior as well as the interior. 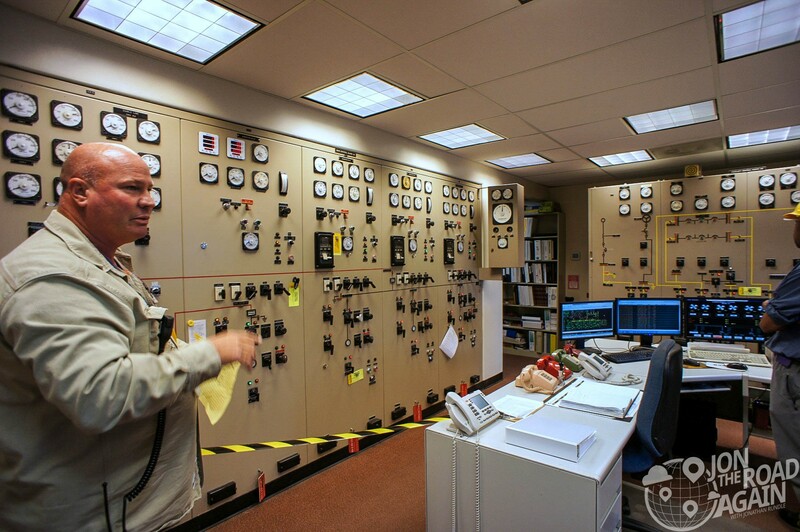 As I mentioned before, the tour is 3/4 about the power plants and 1/4 about the nature surrounding them. We stopped briefly at the Happy Creek Nature Trail to discuss the North Cascades National Forest. 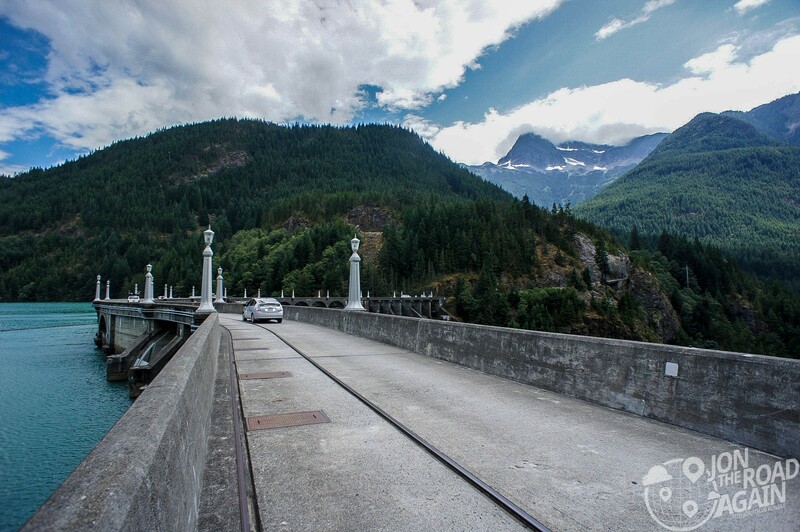 Afterward, we drove onto the impressive campus of the North Cascades Institute, which is a nonprofit organization offering natural history seminars, educational programs and publications. But I came here for the POWER! YEAHHARGH!! 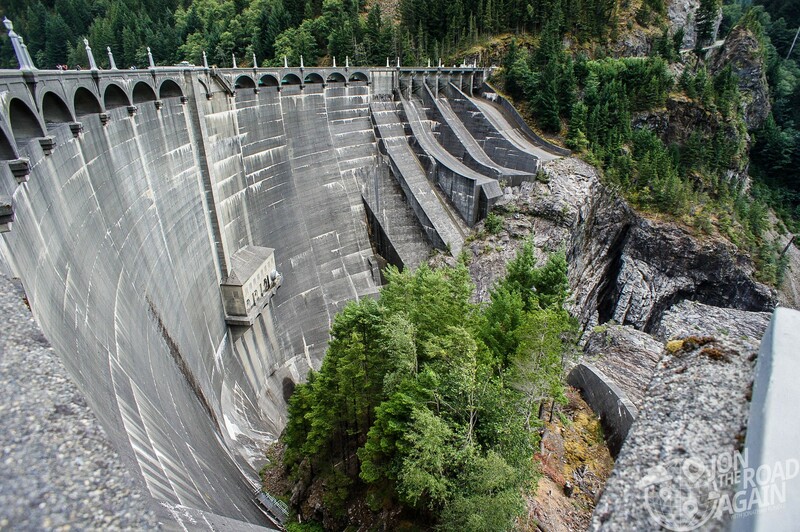 Let’s move on to the final stop, Diablo Dam! At 389 feet, it was once the tallest dam in the world until Owyhee Dam in Oregon beat it out two years later. Don’t spit over the edge because the updraft will likely send your loogie upward. I didn’t try my luck. Sign up for the Skagit Power Tour here. Great pictures! Very informative, I would love to take the tour someday. 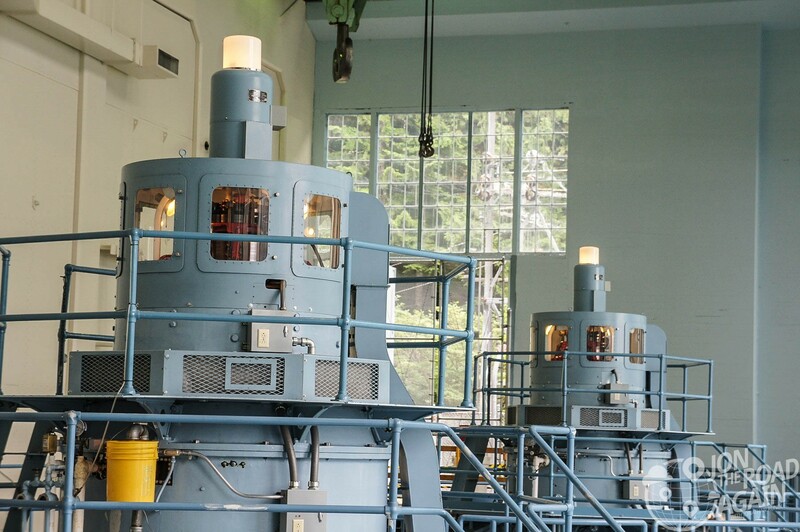 A working museum to the history of hydroelectric power. Great article! I grew up in Newhalem in the 70’s and 80’s. Ladder Creek Falls was a pet project of J.D. Ross and I was overjoyed when it was somewhat recently refurbished with LED lights. I would also recommend Trail of the Cedars which starts and ends in Newhalem. It’s a great (and short) walk for nature lovers and has a small powerhouse to view for the POWER lovers as well.